4242 N Sunset Cliff Drive is listed at 375K and went under contract–listed by Long Realty–in a little over 3 month’s time. This two-story home boasts a small pool–spool–and has a first floor master suite. Having almost 3K square feet there is plenty of room for everyone–has a family room, a living room and an upstairs rec room. 4155 N Boulder Canyon Place sold for 780K; it last sold for 900K 4 years ago, showing a 13% depreciation. Listed by Long, this Contemporary backs to the Sonoran Desert and has a dramatic city lights view. The buyers got a great price on this home since the Sellers were very motivated to sell. 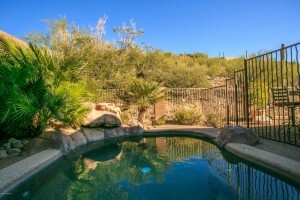 If you would like to explore any of the homes for sale in the Sabino Mountain and the Catalina Foothills, give me a call at 520-615-2598. 4161 N Quail Canyon has now been reduced to a very attractive price: 699K by Long Realty, although it has not been on the market long. This 3K + plus square foot Santa Fe has a ridge-top views of the Santa Catalinas and sparkling city lights. This is a rare opportunity to own a ridge-top home at a very affordable price. 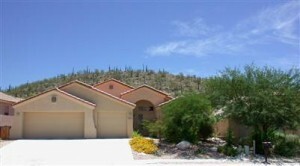 Call me at 520-615-2598 if you would like to see it! It won’t last long at this price! This is wonderful news for Sabino Mountain! This little over 4,100 square foot home is 14 years old and is sited on a little over an acre and a half. It is listed by Long Realty. This home has amazing views of the surrounding mountains and the city. 4397 N Sunset Cliff Drive went on the market today at 393K listed by Long Realty. 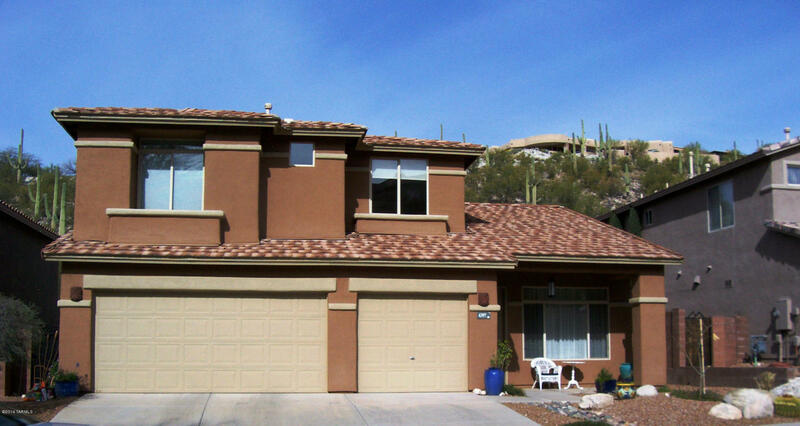 This two-story home is just under 2,400 square feet; is a 3 bedroom, 2 1/2 bath home with a hard-to-find pool and spa in Sabino Mountain in this price range. 7788 E Tumbling Rock Drive sold for $1,375,000 at the peak of the market. Today it is listed for $1,050,000. This 4,300 square foot home was built by Outpost Builders. 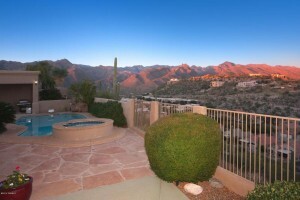 It has beautiful Catalina Mountain and sparking city views. The biggest challenge in selling it is the lot next door has a home in the beginning stages of construction so there will be construction noise there for the next 6 months or so. For those of you who do not know where Tumbling Rock is–it is at the end of Sabino Mountain Drive as you go down towards Sunset Cliff Drive. The good news for the future Buyer is that it is likely this price is so reduced to overcome the construction noise that will not be there forever. 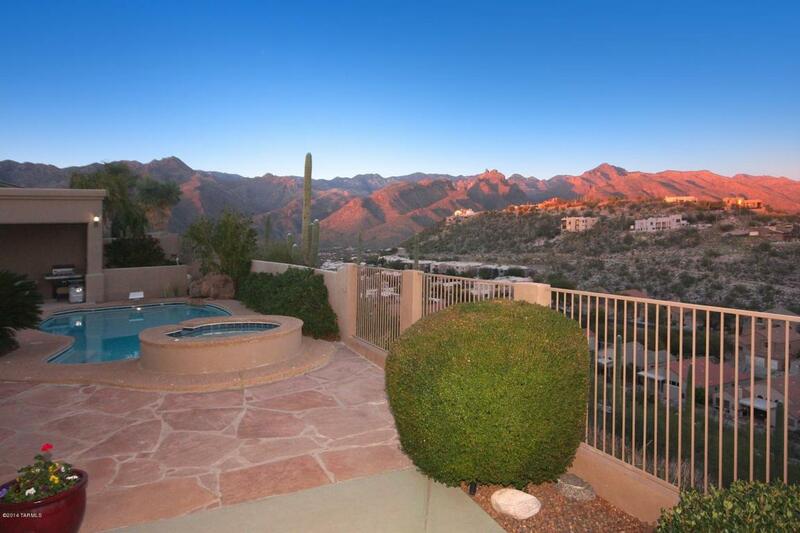 4458 N Sabino Mountain Drive came up for sale again, but this time at a big decrease of about 100K with a List Price of 899K–by Long Realty. This Mediterranean was purchased 6 years ago at 938K and then was renovated. It has a lot of competition, with one being across the street listed for 830K. It has 3,500 square feet and is sited on an acre. 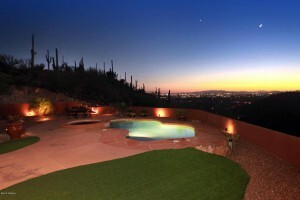 Views are very pretty of the Catalinas and sparkling night lights of the Canyon homes. 4248 N Ocotillo Canyon Drive was listed today by Long Realty for 365K; this one-story home boasts a popular split floorplan and 3 car garage. The winter housing market has been quite disappointing. What that means for those listing their homes is only list if you are very serious about selling because your List Price will have to be fairly aggressive to attract buyers. 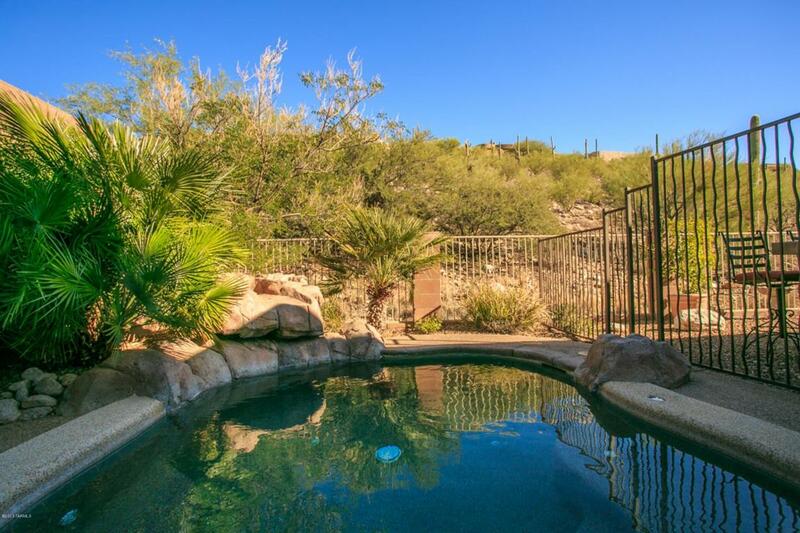 What houses should sell–the Quail Canyon Home listed for 730K and the Sabino Mountain Drive home listed for 830K should sell. Boulder Canyon has a home under contract that had an aggressive List Price of 795K (after a price drop) and then it found a buyer quickly. This winter sales appear to be much slower than last winter and unless the pace of winter sales picks up soon, homes will continue to depreciate in value after we had seen price stabilization last year. It is disappointing, but better to know the truth and act accordingly than to find yourself very frustrated. 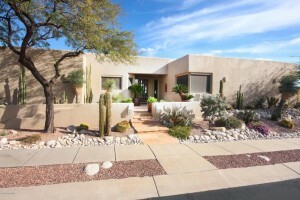 4496 N Black Rock Drive went on the market today by Long Realty for $1,150,000. 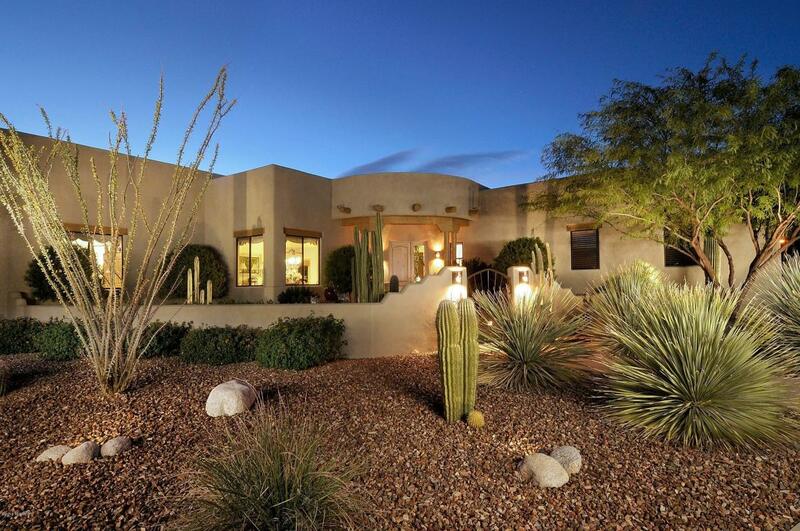 This 4,131 square foot home is sited on the ridge on over an acre and a half. It sold for 955K eleven years ago and reminds us that there has been little appreciation for high-end homes over the last decade which is indeed sad for the Sellers, but great for buyers. 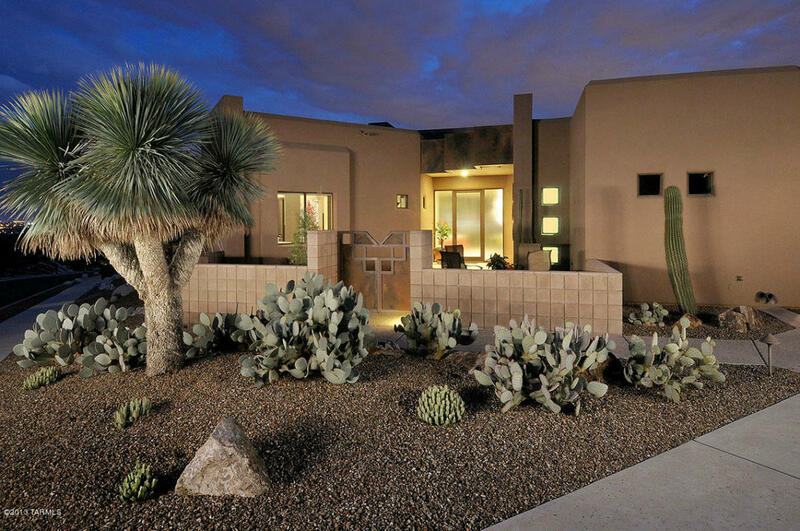 If you would like to see this beautiful home, give me a call at 520-615-2598. You are currently browsing the Sabino Mountain Blog blog archives for February, 2014.